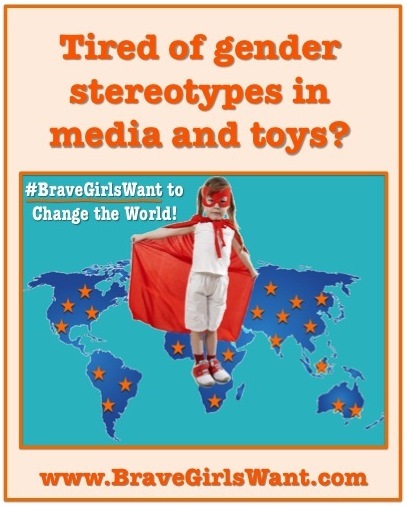 The Brave Girls Alliance (BGA) aims to take back the media for girls. Even before I became a mother myself, I was aware of the constant “princess pushing” that was pretty much forced down girls’ throats and imagination of what they should aim to be in life. Boys? They are told to aim to become President, astronauts, CEOs, scientists. But girls? Please stay in your castle or keep napping a-la Sleeping Beauty until some Prince, some man comes and saves you. After I had my daughter two years ago, this harmful message set we are giving our girls became magnified for me tenfold. As a feminist though it has been particularly disturbing. Why is the world we create for our babies so gendered? This is clear from day one of life as a pregnant woman. Anything that remotely resembles a fairytale theme is geared towards girls. No wonder women grow up with such skewed ideas of relationships, life and their roles in both. No wonder young women still waste so much time thinking an ideal partner will rescue them from working and earning their own living. This message we give little girls that they are princesses may come across as cute, but it’s more unhealthy and dangerous than anything else. My daughter is going to have to work really hard in her life to get anywhere. That’s what bothers me most about fairytales- it encourages women and girls to remain passive and helpless in their approach to life instead of being proactive. It’s completely unrealistic and damaging. I am not going to waste anytime in making sure my child understands the value of hard work, and that wearing a big pink dress while sighing hopelessly out her window in anticipation of some man is not going to happen, and nor should she want it to. The fact that the messages we are fed as girls affects the women we become is undeniable. I have written and analyzed extensively about how our fairytales can harm us, but the great news is now there is a campaign which wants to change what we tell our daughters. The campaign will start in Times Square, but hopefully spread all over the world. 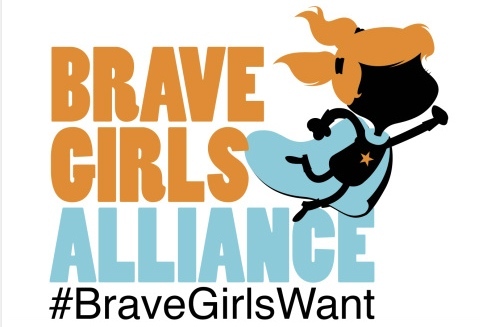 A powerhouse think tank of business owners, experts, authors and activists have come together to form the Brave Girls Alliance (BGA), and according to their own press release, they believe girls deserve a childhood free of stereotyping and sexualization. 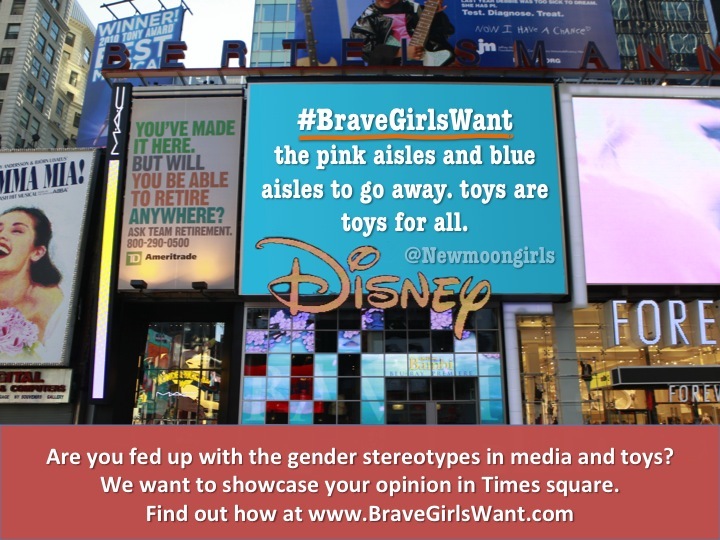 The alliance has kicked off their campaign by renting a billboard in Times Square which will broadcast messages about what #BraveGirlsWant starting on October 11th, right on The International Day of the Girl. For seven days, only constructive and proactive inspiring messages for girls will be displayed on a billboard at the corner of 43rd Street and Seventh Avenue. 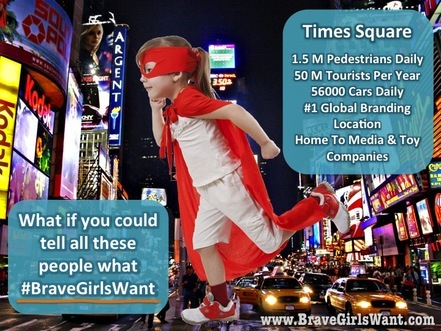 What if you could tell everyone what brave girls want? Make sure to join and support the campaign, for you and your daughters, for the girls we support and love so they can go out into the world as strong and confidant women.